The sign is made from wood, measures 6" x 6" x 3/4", also available as 8" x 8" x 3/4"
The sign is made to look old and vintage. 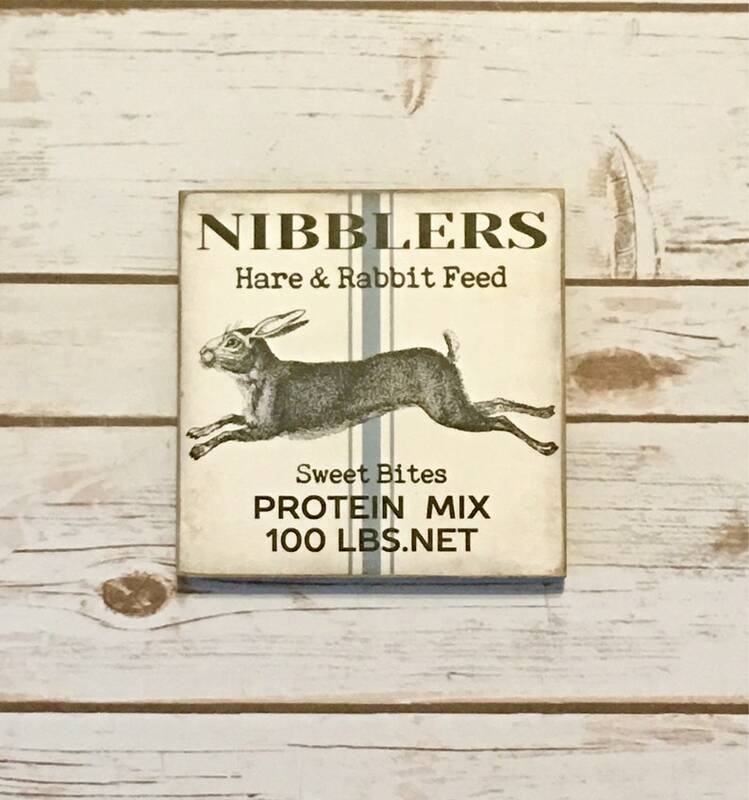 The rabbit print is securely attached to the front of the sign and distressed to look old and worn. The sign pictured is a 6" x 6" x 3/4". The sides and back of the sign are finished in black. The sign can sit or is ready to hang with an attached sawtooth hanger. Just beautifully crafted! Make sure you buy all 3 ! !